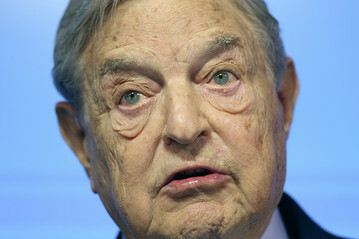 It’s no longer a secret that pro-abortion billionaire George Soros, through his Open Society Foundation, has poured money into Ireland to undermine the country’s staunchly pro-life environment. But the Open Society Foundation’s generosity has stoked the curiosity of Ireland’s Standards in Public Office Commission which is charged with overseeing Ireland’s electoral funding law. In separate stories, two sources, one pro-life and one pro-abortion, are reporting that “Soros money means legal trouble for Amnesty’s Ireland abortion campaign” (as the Catholic News Agency headlined their story) and “Irish Family Planning Association contacted about George Soros money” (the headline in the Irish Times). No dice, says Amnesty International. In a December 8th statement, Colm O’Gorman, Amnesty International’s executive director, said that it would oppose the election funding law. “Amnesty International will not be complying with the instruction from the SIPOC and will deploy every means at its disposal to challenge this unfair law,” he said. the action shows the reliance of Irish pro-abortion rights campaigners on foreign funding. Millions of dollars in overseas funding have targeted Ireland’s pro-life laws for decades, as have other U.S. groups like the Center for Reproductive Rights. Meanwhile the Irish Family Planning Association has some explaining of its own to do. Over the weekend the relentlessly pro-abortion Irish Times ran a story whose subhead was “Sipo expresses concerns that the grant contravenes Ireland’s rules on political funding.” Sipo is the aforementioned Standards in Public Office Commission. It is understood Sipo contacted all three groups in the months after its attention was drawn to a hacked Open Society strategy report that said the foundation funded the three Irish organisations in the context of the pending abortion referendum. “With one of the most restrictive abortion laws in the world, a win there [Ireland] could impact other strongly Catholic countries in Europe, such as Poland, and provide much needed proof that change is possible, even in highly conservative places,” the leaked strategy document said. Amnesty International was trying to “sell itself as being above the law and that is very wrong,” Cora Sherlock, spokeswoman for the Pro-Life Campaign, told the Irish Times. If the money was not returned it would “set a dangerous precedent,” she said.